I simply fell in love with flowers when we visited Bermuda where I was teaching for a long weekend! These fabulous flowers are actually grown as hedges around many on the houses. The colours are so rich you can hardly believe they are real. 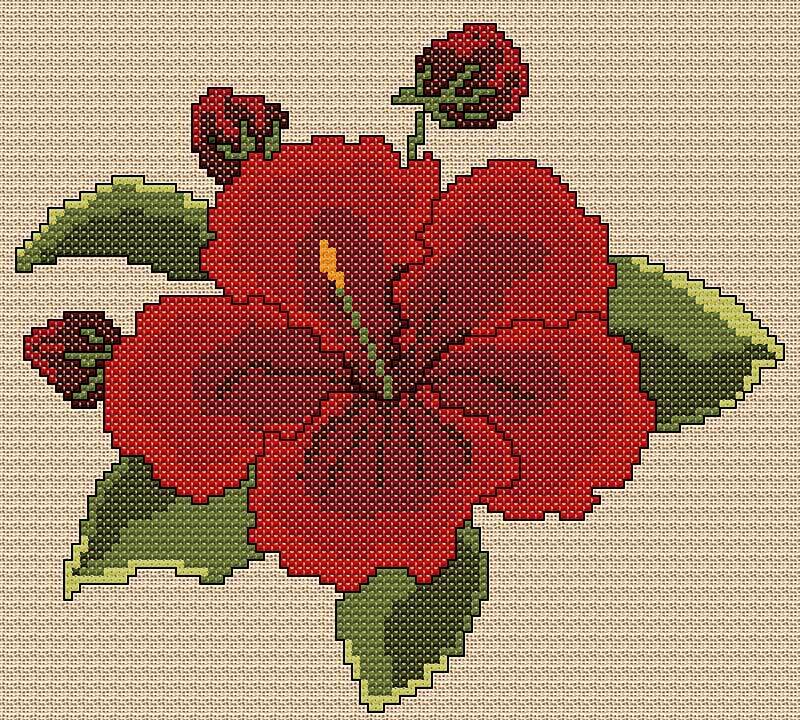 Stitched in pure cross stitch with a little backstitch outline it can be worked on linen or Aida but remember that the thread count of your fabric will determine the completed size of the completed stitching.